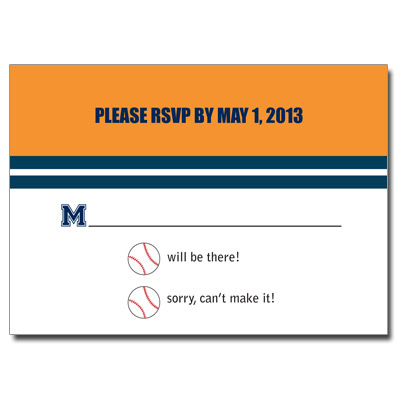 Celebrate the event of the season with this invitation designed to look like a sports event ticket. 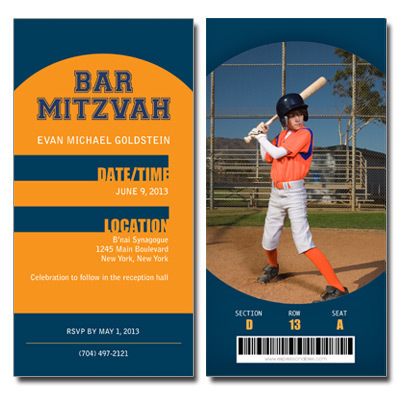 This blue and orange themed invitation is personalized on both sides with the event info on the front and a place to upload your favorite photo of your athlete on the back. This card measures 3.5x7 and is printed on both sides.